Cisco Meraki, a provider of cloud-managed IT solutions, announced last week the launch of a public bug bounty program with rewards of up to $10,000 per vulnerability. Cisco Meraki, which resulted from Cisco’s acquisition of Meraki in late 2012, started with a private bug bounty program on the Bugcrowd platform. The private program led to the discovery of 39 flaws, for which the company paid out an average of roughly $1,100. The firm has now decided to open its bug bounty program to all the white hat hackers on Bugcrowd and it’s prepared to pay them between $100 and $10,000 per flaw. 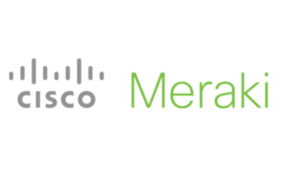 The initiative covers the meraki.com, ikarem.io, meraki.cisco.com and network-auth.com domains and some of their subdomains, the Meraki Dashboard mobile apps for Android and iOS, and products such as the Cisco Meraki MX Security Appliances, Meraki MS Switches, MR Access Points, MV Security Cameras, MC Phones, Systems Manager, and Virtual Security Appliances. The highest rewards can be earned for serious vulnerabilities in websites (except meraki.cisco.com), and all hardware and software products. Researchers can receive between $6,000 and $10,000 for remote code execution, root logic, sensitive information disclosure, and device configuration hijacking issues. There is a long list of security issues that are not covered by the program, including denial-of-service (DoS) attacks, SSL-related problems and ones that require man-in-the-middle (MitM) access, clickjacking, and classic self-XSS. Meraki says its wireless, switching, security, and communications products are used by more than 230,000 global customers for 3 million devices.